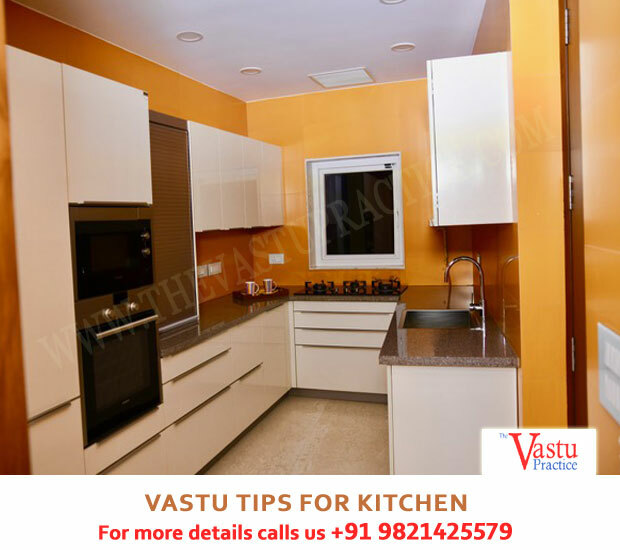 Astrologically, the kitchen is governed by Venus because he is the lord of the South East direction and water is his element and Mars because he rules the South and fire is his element. The colour of the floor and the walls can be yellow or orange. Avoid black as far as possible. Having an open area above the stove is auspicious. Avoid having an extractor hood directly above the stove because it disturbs the subtle flow and circulation of fiery energy required for auspicious cooking. It is better to have an open window or an exhaust fan as part of the window. If the stove and sink are adjacent, then place an earthenware or ceramic plot between them. The Earth element in between soothes the bitter enemies fire and water. The stove and sink should also not be directly opposite to each other.